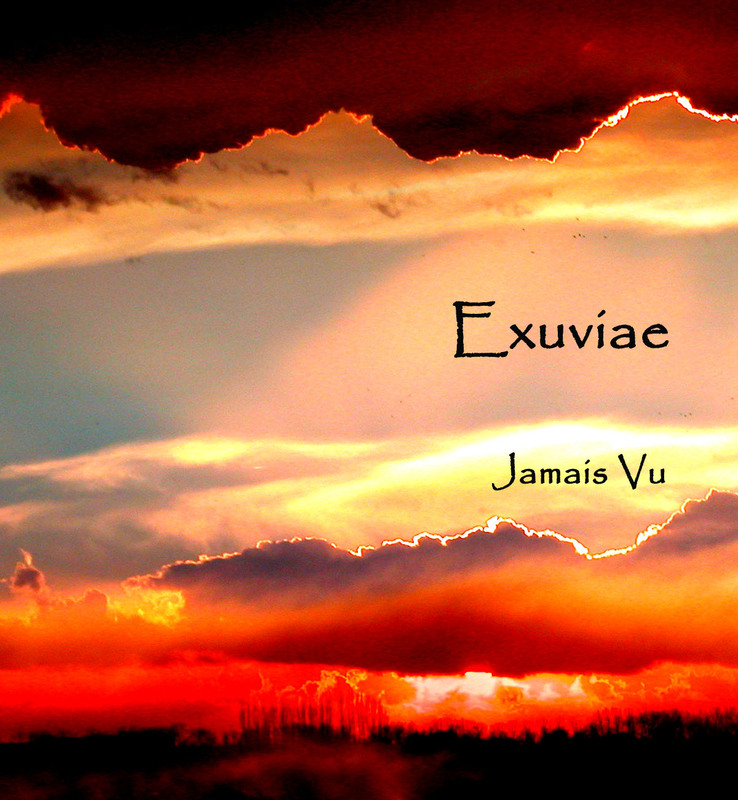 One day, when surfing in the Internet labels, I found an interesting release on Endless Ascent – “Jamais Vu” by Exuviae, which appear to be the first release on this label. Exuviae is an ambient project, run by Brooks Rongstad, a Minnesota-based electronic musician, and in this album some of his works, recorded between 2002 and 2006 are represented. At first, let’s discuss the term “Jamais Vu”, which entitles the album and the third track. Jamais Vu is a mysterious psychic phenomena, when somebody perceives something familiar to him as unknown and never seen before. It is much more uncommon, than Deja Vu, when you feel like you have already seen something, that you couldn’t see before. I suppose, it is an appropriate theme for an ambient piece, where the author can express these unspeakable impressions. Now, let’s concentrate on Exuviae’s music. The name of the opening track “Doorsway Alight” is like an entry for the listener to the world of the album concept; its mild, slowly streaming sound shines, summoning you to come in. “After The Fact” is a rythmic effervescing ambient piece with croakings against the background of light and airy drone. “Jamais Vu” is the central conceptual track in the album, point of intersection of the rest subconcepts. You can hear some strange tender squeaks, as if it is the sound of low quality, but this illusion is just a nice dressing for the track; the piece is permeated by the feeling of serenity and contemplation maybe of something new in everyday things, it’s like silent discovery. Then comes “Along The Way”, the track, which resembles a sigh of relief, when one finds himself somewhere in the open field, full of many-coloured flowers and green grass, which sway softly and slowly. “Faces In The Static” – is a thick and saturated drone of a lower tone, in comparison with the previous tracks, which, possibly, describes the observation of surrounding people when the time stops, and you can scrutinize their faces, detecting their thoughts, moods and inner lights. “Answers From Nowhere” may occur to be the expression of a revelation, that suddenly comes to our heads from time to time, when something, that worried us for a long time, becomes clear, when sometning is elucidated without a word from visible environment. It has, like the second track “After The Fact”, a rythmic picture of the sound, but I must say, that this rythm doesn’t have anything common with dance or other ordinary rythms. It is a special ambient rythm, reflecting natural rythms, which, perhaps, won’t make your body dancing, but the mind. “Remainder”, in its philological sense, a synonym for the author’s pseudonym – Exuviae, consists of distant ringing, sitar-like drones, mixed with more moderate sounds. And the worthy finish of the whole album is “How We Are Finite” – almost 20 minutes of affectionate sparkling ambience. Probably, through the concept of this track, Exuviae seeks to show, that there is something in our world, that is unamenable to any explanation by means of our two-dimensional minds, which operate only with binary categories: no-yes, evil-good and so on. There is something beyond all that mental canvases. In whole, “Jamais Vu” is a philosophical and poetic work, but embodied in musical form. So, find something new around you with Exuviae. This entry was posted in Uncategorized and tagged ambient, Endless Ascent, Exuviae. Bookmark the permalink.